The last week was basically more of the same for the players at the top of the PocketFives Rankings as ‘C Darwin2‘ held on to the #1 spot. The Swedish superstar wasn’t the only player to hold on to his spot. The top four are the same as last week as Steven ‘SvZff’ van Zadelhoff, ‘lena900‘ and Joao ‘joaosimaobh’ Simao all maintained their spots. The first change came at #5 where Russia’s ‘veeea‘ jumped from #6 to #5 after he emerged victorious in the partypoker Heavyweight Uppercut on October 29. That win earned him $9,550 and 223.61 PLB points. Sweden’s ‘Sheater‘ moved up from #7 to #6 thanks to a pair of close calls. On October 30 he finished third in the partypoker High Roller Warm Up for $6,377 and 114.51 points. The next day he finished fourth in the PokerStars Super Tuesday for $23,534 and 238.41 points. Andreas ‘r4ndomr4gs’ Berggren dropped out of the top five, moving from #5 to #7 after being unable to record any qualifying cashes over the past week. The biggest move of the week landed a well-respected grinder in the top 10. Connor ‘blanconegro’ Drinan, who now plies his trade from Canada, jumped from #28 to #10 after having a Sunday to remember on October 29. 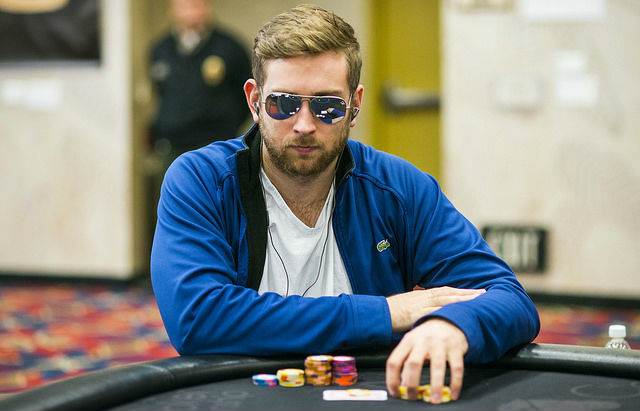 Drinan finished 24th in the PokerStars Sunday Million, won the PokerStars Sunday 500 and then finished runner-up in the Hotter $215. Those three cashes earned him a total of $67,432 and 1,007.58 PLB points. While the top 10 had little movement, spots 11-20 saw plenty of change. Jonatan ‘Pot4teUS’ Hellman moved from #23 to #11 and Conor ‘1_conor_b_1’ Beresford rose from #20 to #12. Meanwhile, Roman ‘Romeopro’ Romanovsky, who was #10 last week, came in this week at #17. The only new entry in the Top 25 this week was Russia’s ‘NoPlanB‘. He moved up one spot from #26 to #25. Dropping out of the Top 25 was Canadian Christopher ‘Apotheosis’ Kruk.